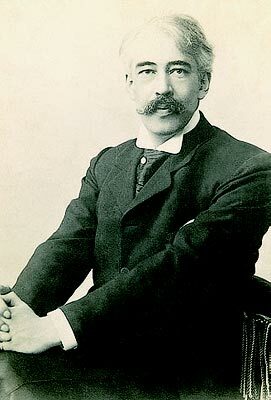 As founder of the first acting System, co-founder of the Moscow Art Theatre (1897-), and an eminent practitioner of the naturalist school of thought, Konstantin Stanislavsky unequivocally challenged traditional notions of the dramatic process, establishing himself as one of the most pioneering thinkers in modern theatre. 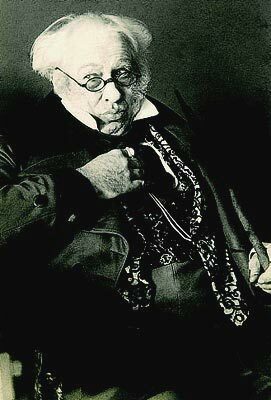 Stanislavsky coined phrases such as stage direction, laid the foundations of modern opera and gave instant renown to the works of such talented writers and playwrights as Maxim Gorky and Anton Chekhov. His process of character development, the Stanislavsky Method, was the catalyst for method acting- arguably the most influential acting system on the modern stage and screen. Such renowned schools of acting and directing as the Group Theatre (1931- 1941) and The Actors Studio (1947-) are a legacy of Stanislavsky's pioneering vision. 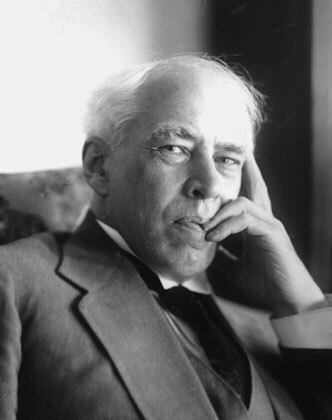 Konstantin Sergeyevich Stanislavsky (Alexeyev) was born in Moscow on January 5, 1863, amidst the transition from the feudal serfdom of Czarist Russia under the rule of Peter the Great, to the free enterprise of the Industrial Revolution. 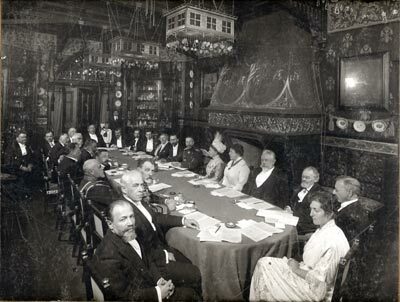 More than one hundred years prior, Konstantin's ancestor Alexei Petrov had broken the chains of serfdom that bound the family and gained immediate status and wealth as a merchant. By the time Konstantin was born, the Alexeyev business of gold and silver thread production had made the family name well known throughout the world. 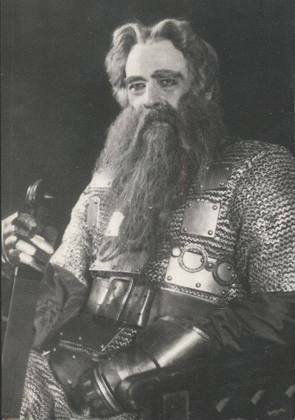 Reared by a wealthy and generous father, Konstantin was never short of funding in his early stage performances. 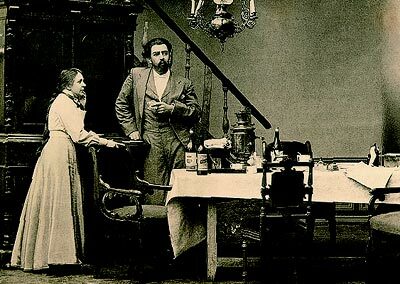 Ultimately, in order to escape the stereotype of the prodigal son and to be mindful of the reputation of his family, at the age of 25, Konstantin took the stage name Stanislavsky. In the same year he established the Society of Art and Literature as an amateaur company at the Maly Theatre, where he gained experience in ethics, aesthetics and stagecraft. 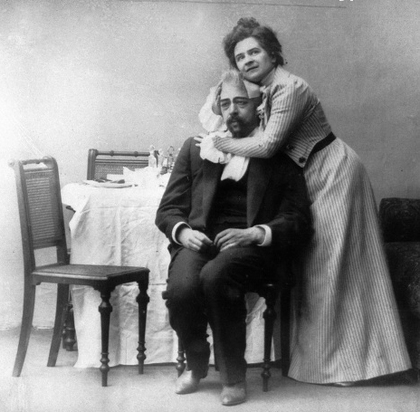 As he progressed independently, Stanislavsky began to further challenge the traditional stage approach. 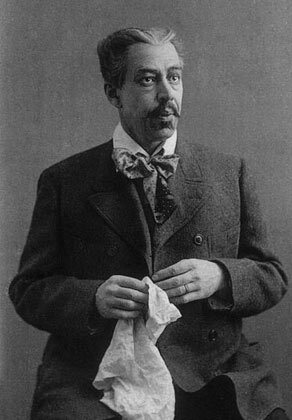 In 1898, in cooperation with Vladimir Nemirovich- Danchenko, Stanislavsky founded the Moscow Art Theatre, Russia's first ensemble theatre. 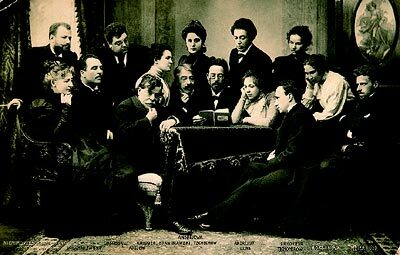 Using the Moscow Art Theatre as his conduit, Stanislavsky developed his own unique system of training wherein actors would research the situation created by the script, break down the text according to their character's motivations and recall their own experiences, thereby causing actions and reactions according to these motivations. The actor would ideally make his motivations for acting identical to those of the character in the script. He could then replay these emotions and experiences in the role of the character in order to achieve a more genuine performance. 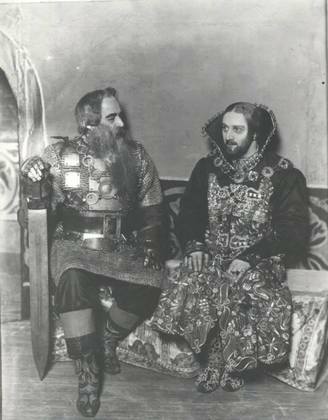 The 17th Century drama Tsar Fyodor was the first production in which these techniques were showcased. 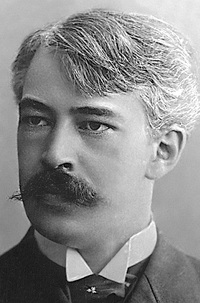 Using this system, Stanislavsky succeeded like no producer or director before him in translating the works of such renowned playwrights as Chekhov and Gorky, whose writings were aptly suited to his method. With their social consciousness and emphasis on the importance of imagery and theme rather than plot, they were blank canvasses on which Stanislavsky could exercise his artful hand. Stanislavsky clearly could not separate the theatre from its social context. 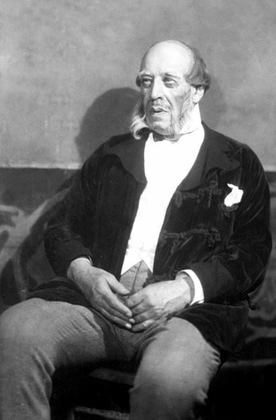 He viewed theatre as a medium with great social and educational significance. During the civil unrest leading up to the first Russian revolution in 1905, Stanislavsky courageously reflected social issues on the stage. Twelve years later, during the Red October of 1917, Bolshevism had swept through Russia and the Soviet Union was established. 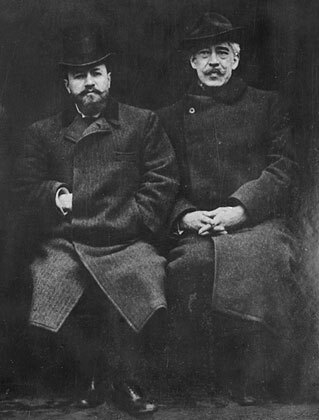 In the violence of revolution, Lenin's personal protection saved Stanislavsky from being eliminated along with the Czardom. The USSR maintained allegiance to Stanislavsky and his socially conscious method of production and his theatre began to produce plays containing Soviet propaganda. In 1918 Stanislavsky established the First Studio as a school for young actors and in his later years wrote two books, My Life in Art and The Actor and His Work. Both have been translated into over 20 languages. Through his earnest professional and educational leadership, Stanislavsky spread his knowledge to numerous understudies, leaving a legacy that cannot be overstated. 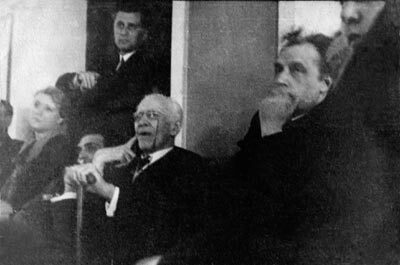 In 1938, just before World War II, Stanislavsky died holding on to the ideal of a peaceful, socially responsible world. A world completely engulfed in the experiences and interchange of works of art that people of every nation would identify with and cherish.